The domain transfer process should be initiated only when the domain is active. It is not possible to transfer an expired domain name, never try to initiate the transfer to godaddy or any other registrars when your domain is in expired mode. 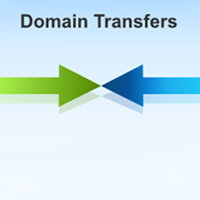 if you do the same the domain wont get transfer and also it cannot renewed by the current registrar. So if you domain is expired domain, it should be renewed first and then process with domain transfer procedure. So If your domain is expired, renew it first with your current registrar. Go to Godaddy or any other registrars and subscribe for a Domain transfer. Check GoDaddy's Domain transfer request page, there you can see fields to enter the domain name that you'd like to transfer. Enter it and go with payment. By this time you will receive an email informing about the domain transfer request and this email will confirm your email address and also will contain the "Transaction Id" and "Security code". You should contact your Current registrar ( in this case it is unlimitedGb ) to send you the Authorization code, for processing the Domain transfer request. Coming back to GoDaddy's dashboard, in Domains > Transfers section, You will see your domain listed. Check the status. You should confirm the action by clicking the link in the "status" column. You will be asked to enter the "Transaction Id" and "Security code" which you received via email from Godaddy. After submitting it, you will be asked to enter Authorization code send by your current registrar. Enter the Auth code and submit. If you refresh the page, you can see the status as "Processing transfer". The process will take upto 7 days to complete as the new registrar need approval from old registrar. For transferring a domain name registered with Unlimitedgb to other registrar, you need an authorization code or transfer key. You can get it from Unlimitedgb by the steps given in Get EPP Code of Your domain From UnlimitedGb.